(Tax and interpreter fee inclusive). Number of perons Minimum registration from 6 persons. Maximum of 12 persons. 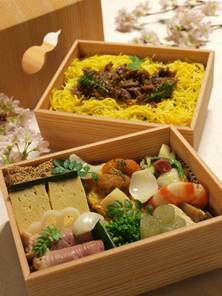 Participants will make ‘Japanese seasonal bento’ in this lesson. You can enjoy both tongue and eyes. 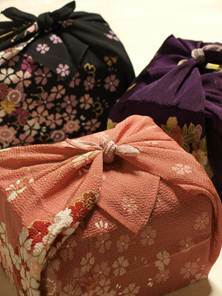 You will also experience Japanese classic events; ‘Cherry blossom viewing’ ‘Maple leaves viewing’ etc. associated with bento. After cooking, all attendees will have bento party together. After that, enjoy ‘Japanese tea time’ with matcha and Japanese sweets. You can join regular group lessons(Japanese home cooking or Japanese cuisine class) for Japanese with an interpreter.